In the coming weeks, six-wheeled robots developed by Starship Technologies will hit the streets of London to help deliver meals ordered from two of the UK's biggest food delivery startups. The company, created by two of the founders of Skype, announced today that its autonomous vehicles will be utilised by Just Eat and Pronto across the capital. Tests will also be carried out in Düsseldorf, Bern and Hamburg by German delivery specialist Hermes and retail giant the Metro Group (owner of Makro). The self-driving robots have already journeyed over 5,000 miles in tests across Greenwich, Milton Keynes and Glastonbury. The company says they have "met over 400,000 people without a single accident." 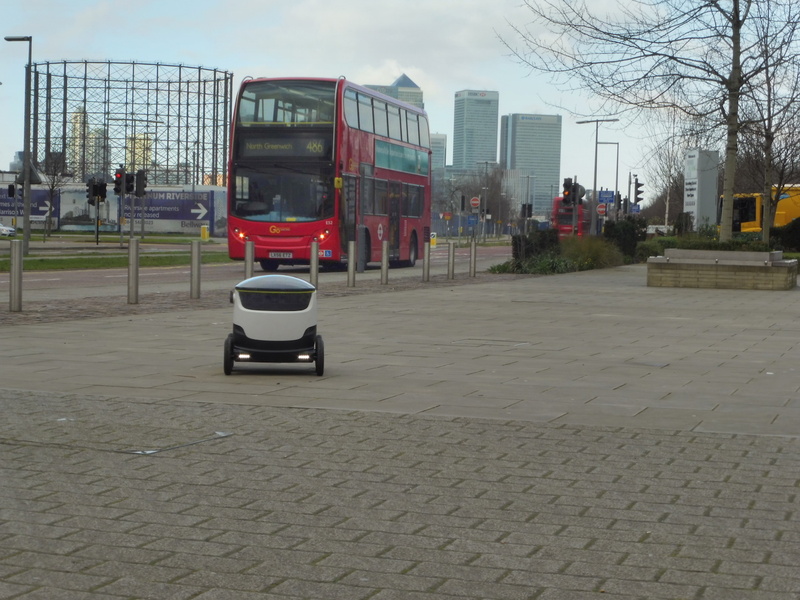 When they're deployed by Just Eat and Pronto, the 4mph robots will operate as a "last-mile" solution, delivering food to customers within a 2-3 mile radius with help from its on-board GPS system and various sensors. When a robot arrives at its destination, customers simply need to type in a code that has been sent to them via the mobile app to open the lid and collect their food. "By launching partnerships with major companies we will enter the next phase in our development," says Ahti Heinla, co-founder, CEO and CTO of Starship Technologies. "While Starship has been testing the robots in 12 countries in the last nine months, we will now develop know-how on running real robotic delivery services." Starship says that once it has begun its test programs in Europe -- which includes trials at its R&D base in Tallinn, Estonia -- it will expand to several other European cities and also make its way across the Atlantic to begin testing in the US. The company expects to announce US partnerships in the very near future.